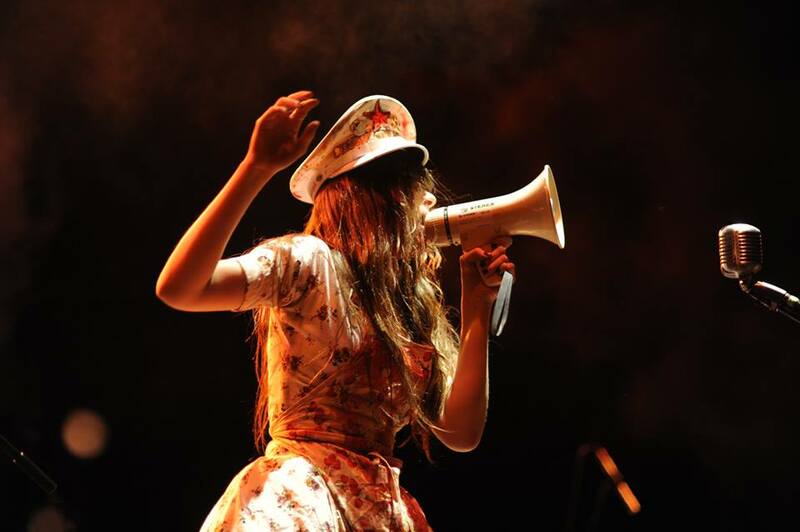 Teri Gender Bender Le Butcherettes. “I find it hard to articulate/I find it hard to pronounce these words,” Teri “Gender Bender” Suaréz sings on “Burn the Scab,” the ferocious opening track from Cry Is for the Flies, the long-awaited second album from Le Butcherettes. But if the Guadalajara-to-Los Angeles transplant is indeed frustrated by the limitations of either her native tongue or her adopted second language, she communicates books full of information with the frenetic assault of her music, the passionate howl of her vocals, and, in live performance, her fearless, full-body abandon. “Burn it, burn it to the ground/Watch it melt away!” goes the chorus of “Burn the Scab.” Burn what, exactly, you ask? As on the group’s 2011 debut Sin Sin Sin, my No. 1 album of 2011, the list is rarely specific, but the candidates certainly include sexism, racism (especially of the obnoxious “Secure Fence Act” variety), and any other bullying impediment to free expression that you’d care to name. Mind you, this ambition, or maturity, or whatever you want to call it, is relative, since Suaréz at her most restrained is merely frighteningly intense, while in her absolute unfettered mode—“Demon Stuck in Your Eye,” “Normal, You Were,” “Poet from Nowhere,” or the aforementioned “Burn the Scab”—it’s no exaggeration to say that you should be ready to have the top of your head sheared off.